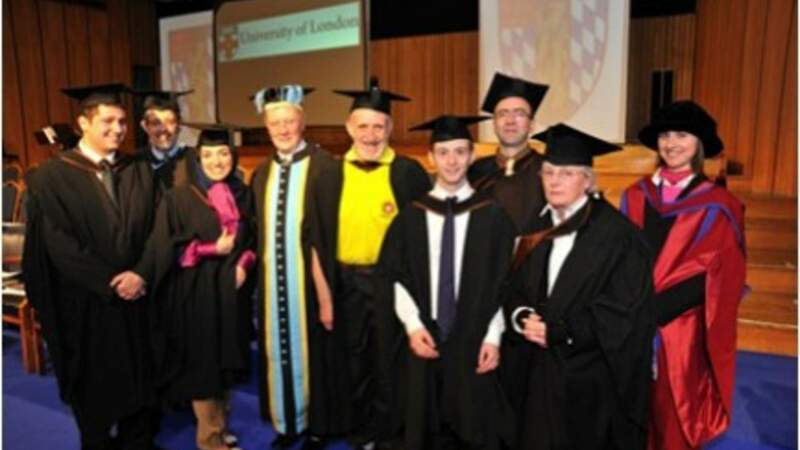 On the 1st of December 2010, the first five graduates of the University of London’s pioneering new BA course in Abrahamics received their degrees. The photo above shows some of the students with their teachers and the Principal of Heythrop College, the University’s specialist philosophy and theology centre based in Kensington, West London. This course, sponsored by Coexist, is the world’s first BA in Abrahamic Studies. The first students in a related Abrahamics MA started their studies in September 2010.